Ecosystem services are the benefits that people and societies receive from nature, such as food, water, pollination, nutrient cycling and many others. WLE works to facilitate agricultural intensification that recognizes, preserves and enhances the services that ecosystems provide. Wetlands, forests, flood plains and other environmental systems can all be considered part of the natural infrastructure that supports thriving cities and healthy landscapes. WLE is working to understand and quantify the important functions that natural infrastructure fulfills and to advise decision makers on how to take advantage of its benefits. When we think of urban infrastructure, what probably comes to mind are roads, pipes, drains and construction. Here's why healthy urban wetlands are equally essential. Urban and peri-urban wetlands of the city of Kolkata in India are under threat, and their ecosystem services are being lost due to rapid urbanization. Across the globe, biodiversity loss is accelerating, harming the provision of life-sustaining services such as pollination, pest regulation and dietary diversity. WLE is working to find ways to increase food production, while protecting and enhancing biodiversity. We need to act now to save biodiversity, ecosystems...and ourselves. Biodiversity – the essential variety of life forms on Earth – continues to decline in every region of the world, significantly reducing nature’s capacity to contribute to people’s well-being. This alarming trend endangers economies, livelihoods, food security and the quality of life of people everywhere, according to four landmark science reports released today by IPBES, written by more than 550 leading experts, from over 100 countries. Huang, Jikun; Zhou, Ke; Zhang, Wei; Deng, Xiangzheng; van der Werf, Wopke; Lu, Yanhui; Wu, Kongming; Rosegrant, Mark. 2018. Uncovering the economic value of natural enemies and true costs of chemical insecticides to cotton farmers in China.IOP Publishing Ltd. 25p. The Asia-Pacific Regional Assessment for the Intergovernmental Science-Policy Platform for Biodiversity and Ecosystem Services (IPBES) has been drafted and is ready for external review. Get involved! The data is abundantly clear: it's time to transition to cleaner, more sustainable agricultural practices. 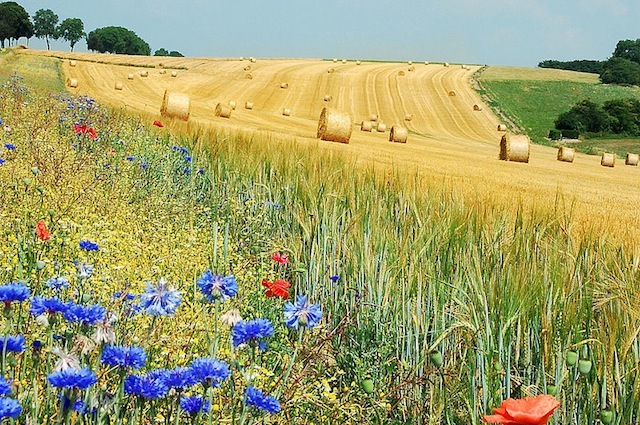 A new report from IPES-Food demonstrates how vicious cycles of vested interests and entrenched thinking are the barriers to agricultural change. Ecosystems provide a wealth of benefits, but these are not always equitably shared. WLE seeks to identify the right incentives and institutions that can facilitate a fair distribution of resources and services between all people, including women, youth and other disadvantaged groups.